For the chance to see your sporting heroes in action, how far would you be willing to go? 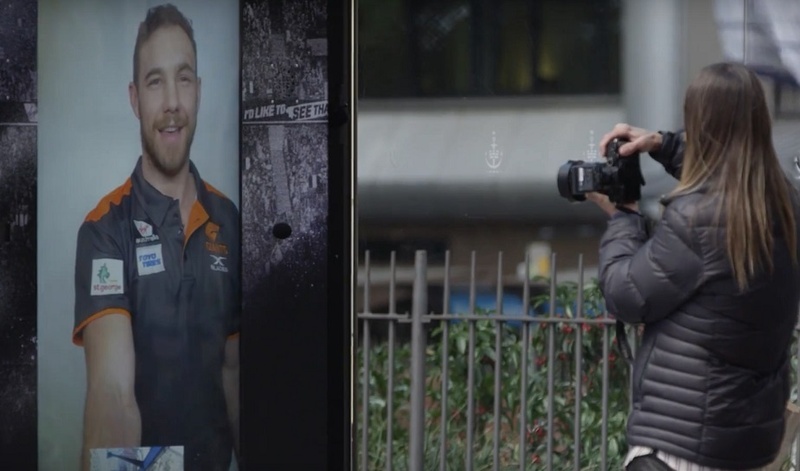 The stars of the Australian Football League teamed up with Virgin Australia and JCDecaux to find out exactly that. 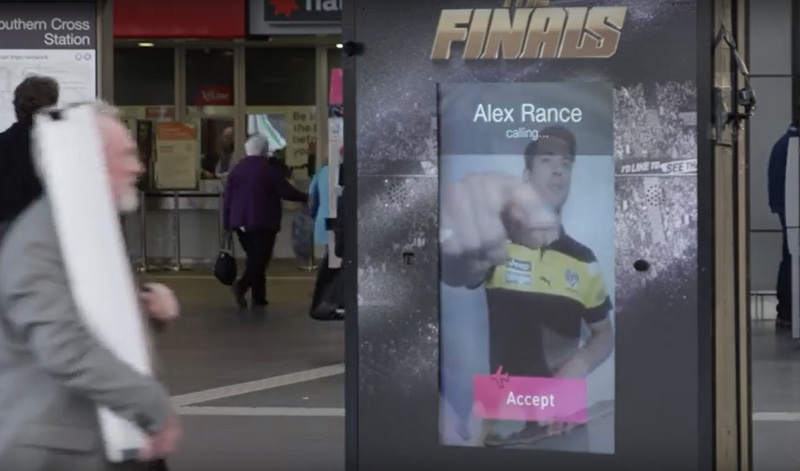 A live streaming stunt on a grand scale saw advertising panels across Australia transformed into interactive ticket booths. Situated in bustling locations across Melbourne, Sydney and Adelaide, these panels appeared, at first glance, to be little more than digital advertising for upcoming footy matches. But soon, surprised AFL fans were stopped in their tracks by incoming Facetime calls from big names such as Alex Rance and Tom Bellchambers. And those that plucked up the courage to answer the call were in for a real treat. These current legends of the game had an enticing offer – the chance to win big and bag a pair of free tickets to an upcoming Finals game. There was just one small catch: all tickets had to be earnt, and the only way to do that was to impress the stars. Watching on with glee, the footy players took great joy in asking fans to pull out all the stops to nab their tickets. Get down on all fours and roar like a tiger? Check. Perform 30 seconds of your best dance moves? Check. Demonstrate your push-up skills? Check. Belt out a tune, proudly, in public. Check, mate. The brief spell of public embarrassment definitely proved worthwhile for fans, however. As well as walking away with Finals tickets in hand, they also had another big surprise awaiting them, as the impressed players emerged from behind the advertising panels to meet fans in person, accompanied by Virgin brand ambassadors. With over 100 tickets given away in total, including 6 to grand finals and 4 flights, Virgin Australia’s star-studded approach to live streaming shows just how powerful the element of surprise can be when it comes to experiential marketing. Want more proof? Check out when Disneyland wowed visitors with a totally unexpected visit from Johnny Depp’s Mad Hatter.